National Youth Leadership Training (NYLT) is an exciting, action-packed six-day council-level program designed to provide Scouts in troops, crews and ships with leadership skills and experience they can use in their home units and in other situations demanding leadership of self and others. Unit leaders have the primary responsibility for training their youth leaders. The first step in the BSA youth leadership training continuum is conducted in the home unit (Introduction to Leadership Skills). Scouts who have completed this training may attend. NYLT is held twice a year in December and June. NYLT is filled with activities, presentations, challenges, discussions, and camping in a team and model unit environment. Participants learn and practice skills that are valuable at home, church, school, work and the Scouting unit. The course is designed for youth members 14 years of age. Since a Scout only takes this course once, we want them to get the maximum benefit from this experience; therefore, it is essential that they be able to handle the demands of this advanced course, which requires maturity, experience, and proficiency in basic camping skills. At NYLT, a temporary training unit is formed consisting of youth from troops, crews and ships across the council. This training unit is instructed and led by a highly qualified group of outstanding youth and adult trainers. At the end of this conference, the Scout returns to their home unit with advanced knowledge of leadership skills and patrol/troop/team/crew operation. A Scout must be registered in a troop and be at least First Class rank. They must be at least 13 years of age, but not yet 18 by day one of the course (for Venturers and/or Sea Scouts be registered in a crew and/or ship and be at least 14, but not yet 21 by the end of the course). No exceptions. For 2019 only, an exception will be granted for girls to attend NYLT without first achieving First Class rank and they must meet the other requirements listed in #1 above. Live by the Scout Oath and the Scout Law at all times. Be able to attend the entire course: day one begins at 1:00 pm (check-in starts at noon) and day six ends around 4:00 pm. If a Scout does not attend the full course they will not receive credit for the course. Unit leader approval and have completed Introduction to Leadership Skills for Troops (ILST) which is delivered at the unit level. Attend the mandatory orientation meeting. There is a mandatory orientation for all participants and every youth on the waitlist. The orientation meeting is held at the Cockrell Scout Center (2225 North Loop West). Please have all the fees and paperwork finalized before the orientation meeting in order to ensure a speedy check-in. If a participant does not have an excused absence (excused is defined as contacting the course director directly and explaining why you can not attend at least one of the sessions) they will be moved to the waiting list and a wait-listed Scout that attended orientation would take their place. All registered participants will receive an email with orientation registration instructions as the date nears. The fee for NYLT training is $225. The fee includes two t-shirts and one neckerchief; extra t-shirts can be ordered. Payments of cash or check may be submitted but must be received at the Cockrell Scout Center (2225 North Loop West, Houston, Texas 77008) within seven business days of online registration. Before registering, read the FAQs below before registering and have the unit leader information (name, address, phone, and email) available. Registration is complete and the Scout's name is placed on the roster when the online registration is submitted and the fees are paid in full. Registration will be open until May 4, 2019. Every participant must provide a current BSA Annual Health and Medical Record (Parts A, B, C - Under Are You Going to Camp?). A pre-participation physical is needed. Part C is your pre-participation physical certification. The exam needs to be completed by a certified and licensed physician (MD, DO), nurse practitioner, or physician assistant. Forms need to be dropped off or mailed to the Cockrell Scout Center (attn: NYLT, 2225 North Loop West, Houston, TX 77008) with a copy of the front and back of the insurance card. Emailed or electronic copies will not be accepted. Forms can be downloaded at www.scouting.org/scoutsource/healthandsafety/ahmr.aspx. 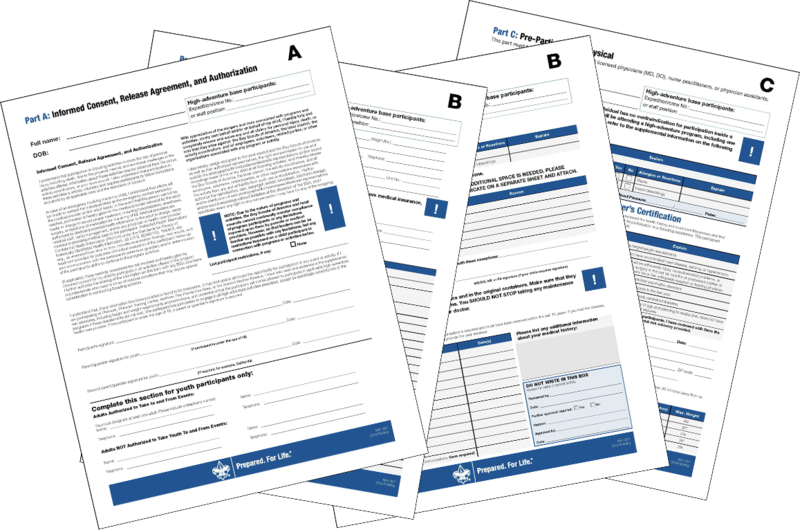 The form must be completely filled out and signed by a physician. Medical forms are only current for one year and must not expire before the last day of NYLT. What are the NYLT policies? Refunds - The council refunds can be found at www.shac.org/refunds. Equipment Damage – Should council equipment or property be damaged by participants during the course, where damage occurs from other than normal or expected use, it shall be the responsibility of the participant(s) involved (and their guardians) to pay for the cost of the damage. Course Completion – To successfully complete the course and receive the certificate and patch, a participant must attend the full course including closing ceremony. Anyone arriving late or leaving the course early will not be eligible for completion. Medication – All medication containers must be labeled with the participant’s name, medication name, dosage and schedule for the medication. Send only enough medication for the course duration. Most pharmacies will prepare a second container for you with the prescription label so only the required medication can be sent with the Scout. In addition, please complete the Medication Form above. Each participant may keep inhalers and sting kits. Rescheduling - Your placement in a course if for that course and week only. If a scheduling conflict develops, and you wish to move to another course and week, we will make every effort to accommodate that request. However, if the other course has a waitlist, you will be placed at the bottom of thwaitlistist as a new registrant. We will not remove a confirmed registrant from a course to replace them with a transfer request. All requests must be in writing. You may send an email request to jeanne.gebo@scouting.org. What should be brought to NYLT? Hygiene products: toothpaste, toothbrush, soap, deodorant, comb, etc. Personal first aid kit – basic – band-aids, etc. Please do not bring food, electronics (cell phone, game devices), hiking staves or poles, matches, lighters or any item that results in fire. Merit badge and OA sashes are not needed. Mark all personal gear and equipment with youth’s name. Count the number of large items left with the youth and be sure you have the same number of items on pickup day. What are the NYLT course objectives? 1. Give participants the confidence and knowledge to conduct the troop program. 2. Provide participants with a clear understanding of team and personal development and how those elements relate to being a leader. 3. Guide the participants through the stages of team development. 4. Create an environment of Scouting fellowship and fun guided by the Scout Oath and the Scout Law. 5. Give participants the opportunity to share ideas and experiences with Scouts from other troops and teams. 6. Have fun and experience Scouting at its best. What is the course overview? The course models a month in the life of a unit – three meetings (one each day for the first three days) leading to a big outdoor experience (an overnight outpost camp). The course uses the patrol method and presents model leader council meetings. The training unit challenges the youth early in the week to present their "Quest for the Meaning of Leadership" at the end of the week. The challenge is designed to have them go through the four stages of team development. This gives teams and individual Scouts hands-on, practical application of the leadership skills and concepts presented to them during the course. Throughout the course, the staff models the concepts and skills that are the core content of the course. The focus of the course is to fill the Scout's “Toolbox of Leadership Skills” with knowledge, practice, and understanding of when and how to use these skills. The course begins with the teams finding their team vision and ends with the individuals refining a personal vision of how to put the skills learned into action at their home unit. The fee includes meals (dinner day one through lunch on day 6), program material, facility expenses, program equipment, insurance, two NYLT t-shirts, patrol cap, and NYLT notebook. Do I have to attend the orientation session? Yes. If there is a waitlist for a course, then Scouts who are registered for a course but do not attend the orientation will lose their place on that course. This creates an open position, which will be filled by a Scout on the wait list who has attended the orientation. What type of tents will be used during the course? The participants will bring their own lightweight tent (10'x10' or smaller) This may be the same tent used for the outpost hike. Why does each Scout have to bring a backpacking tent? Can several Scouts from the same troop share the same tent? The tent is used for one night of the program called the outpost camp. This outpost camp is by patrol. Patrol assignments are made to enhance learning during the course. Consequently, in most cases, participants will not be in patrols with anyone from their home troop. What merit badges will be offered? 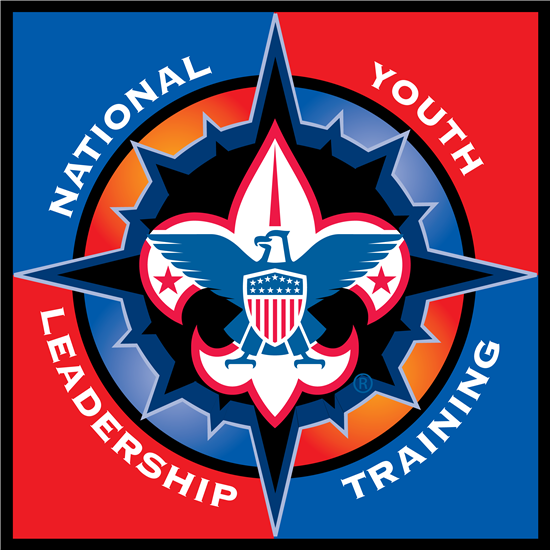 The purpose of NYLT is leadership training in the context of a model troop and patrol. No merit badges will be offered. The five and a half day schedule of NYLT is very full, from early morning until bedtime each night. There are no scheduled times for parental visits. Can Venturers and Sea Scouts attend NYLT? Venturers and Sea Scouts, both male and female, meeting the age requirements (13-20) may apply for the course. To ensure privacy and high Scouting standards, strict coed camping rules will be enforced. A limited number of partial fee financial assistance requests are available. Financial assistance is granted based on need. The participant needs to register online and choose the mailbox option when checking out; then complete the financial assistance request. Financial assistance requests must be applied for and approved prior to the registration becoming final. After participation in an NYLT course, a Scout may apply to serve on staff. If you enjoyed NYLT, and you want to make sure other Scouts have the same rewarding experience, then staffing may be for you. It is a lot of fun, but also requires dedication to hard work and preparation. Conducting a National Youth Leadership Training course takes a great deal of planning, plenty of inspiration, and the enthusiastic participation of many dedicated people. The rewards for participants, staff, and the Scouting movement are tremendous. There are opportunities for those who have completed the course to become a staff member for NYLT. If Scouts are still active in Scouting, are highly motivated, are hard-working, and would like to be considered for a position on a future NYLT staff, they may sign up for a youth staff search interview. Partial-fee financial assistance is available for Scouts and Scouters to help offset the course fees (up to 50%) for National Youth Leadership Training (NYLT) and Wood Badge. Gifts to the leadership training financial assistance fund enable Scouts and Scouters to receive leadership training so they can in turn help develop character, citizenship, and fitness in lives of hundreds of young people. Financial assistance for Scouts and Scouters who are currently unable to attend training because of financial circumstances are only available because of the generous donations from people like you. One hundred percent of the funds collected through this assistance fund go into the financial assistance fund. The financial assistance is granted based on need. Applications for financial assistance can be found under the FAQs.